One month after the informal meeting in Salzburg, the 19 and 20th of September, an European Council summit have been put in place last week in Brussels. Migration is, as usual, one of the most important and discussed topic. But it was not the only official appointment where the EU and national politicians and officials have been talking about migration: another meeting in Luxembourg was held the week before, led by the Austrians Ministers Josef Moser (Federal Minister for Constitutional Affairs, Reforms, Deregulation and Justice) and Herbert Kickl (Federal Minister for Interior). An inter-institutional paper of the Council of the European Union dated 8th of October is quite remarkable. It laid the scene to the two Brussels meetings: in few lines we can see highlighted the general approach of the EU: «The European Council in its June 2018 Conclusions states that “a precondition for a functioning EU policy relies on a comprehensive approach to migration which combines more effective control of the EU’s external borders, increased external action and the internal aspects, in line with our principles and values”». Then, the same paper recalls «the recast of the Return Directive» and «a strengthened European Border and Coast Guard, setting up a European Border and Coast Guard standing corps of 10,000 operational staff with executive powers» encompassing the European Border Surveillance System (EUROSUR) in the European Border and Coast Guard frame, in order to improve the functioning of EUROSUR and enlarging its scope in order to cover most of the components of Integrated Border Management». More money, more people and more cooperation among EU institutions. Last but not least, it is also underlined the importance «of strengthening the cooperation with third countries by giving the agency a wider scope for action (not limiting it to neighboring countries)». This point is very important because it explains how important is a wider approach that consider not just the last and more visible step but the whole process and its causes. Considering migration in a more comprehensive way is fundamental. In these days there has been a short debate for example on POLITICO. 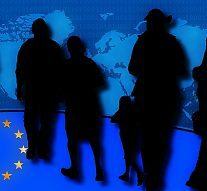 Two articles that represent how the migration issue is approached by the EU institution on one hand and how it should be approached by institutions on the other hand, following the proposals of migration cooperation agents. Anyway, decisions are taken in the European Council. According to the words spoken by Dutch Prime Minister Mark Rutte (you can find them in the POLITICO live tweet press conference), we «did not come much further than where we were end-June». Moreover «Rutte dismissed the idea of mandatory solidarity when it comes to migration, saying: «“Everyone should show solidarity — both financially and in terms of housing”». The matter is that if solidarity is not binding it is hard to be achieved, as we already saw during last summer. Rutte has also underlined that «the EU should instead focus on working together with third countries to bring down the number of arrivals», linking his thinking to the wider approach needed and requested by many other EU and national players across Europe. Also in the last European Council press release, we can see how this issues are still on the top of the agenda but, at the same time, their implementation seems still quite far. The most important thing however, taking into account all the words spent on a wider approach especially with third countries, including not only Mediterranean ones, is that all the actors understood that fortress Europe is not enough to face a very complex issue as migration.